3D models fo Argyllshire, Oban and the seafloor of Loch Linnhe were developed between the James Hutton Institute and the Scottish Association for Marine Sciences (SAMS) to interpret potential impacts of land-use change (e.g. forestry) on uses of the loch (e.g. aquaculture, renewable energy). 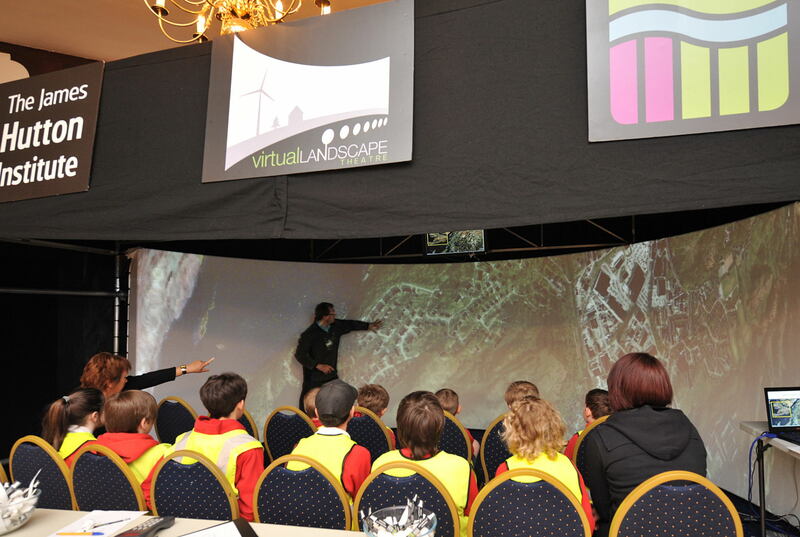 This was demonstrated using the Virtual Landscape Theatre (VLT) at the Festival of the Sea, Oban, May 2013, This is being taken forward in the EU H2020 project Aquaspace. Wang, C., Donaldson-Selby, G., Miller, D., Horne, P., Morrice, J., Howe, J. (2013)Public Interpretation of Land and Sea Use Using Visualisation Tools. In: Proceedings of GIS Research UK 21st Annual Conference, GISRUK 2013, (Ed. A. Singleton), University of Liverpool, 3rd to 5th April 2013. Acknowledgements: Thanks to the participants who attended the VLT@Festival of the Sea event at Argyllshire Gathering Halls, Oban, and Scottish Association for Marine Sciences (SAMS) which organised the event. This work was part funded by the Rural & Environment Science & Analytical Services Division of the Scottish Government, Optimizing Land Use.